Welcome to the Mercure Angoulême Centre! Formerly the home of the Guez de Balzac family, this charming hotel is a subtle blend of modernity and history. We hope that you will appreciate our efforts to preserve the character of this unique place. 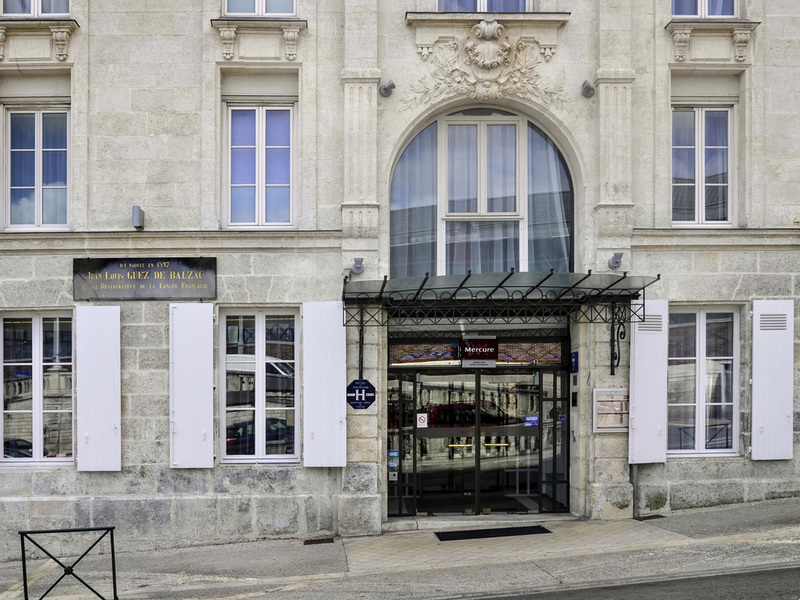 The 4-star Mercure Angoulême Centre-Hôtel de France is ideally located in the heart of the city center in a pedestrianized area. Our charming hotel invites you to a historic location just a stone's throw from the train station. Enjoy its car park, restaurant and private gardens overlooking the city of Angoulême for a relaxing break or business trip. Alone or as a family, make the most of the unparalleled comfort and privileged location in the center of Angoulême. In the birthplace of Jean-Louis Guez de Balzac, you will appreciate our customised service to organise your wedding or business meeting. Discover too the charm of Angoulême - its history, its cognac and its cartoons. Take a moment to relax in our spacious and comfortable rooms. Don't hesitate to ask for a room with a view of the park overlooking the town walls. Our chef, Bruno Ribe, and his team invite you to discover their modern and creative cuisine, made from fresh, seasonal produce and served in a contemporary, bright and cozy setting. Enjoy our gardens and terrace for your meals and brunches. Our Lounge Bar offers a wide choice of alcoholic and non-alcoholic drinks and a cozy, modern atmosphere. Take a break and enjoy our selection of excellent Cognacs.